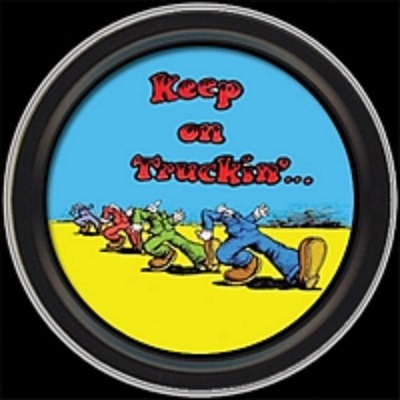 From Zap Comix comes this Keep On Truckin' stash tin. Great for anything small that needs a home: extra keys, guitar picks, matches, pins, jewelry... anything you can think of. Also makes a great gift box! Officially licensed R. Crumb merchandise. Approximate size is 3" round.